This website is free to use but it was not free to create. Purchasing any ball or book from us helps to maintain and further develop this site including taking new photographs of balls and writing stories of them. If you can help us, we can help others together. 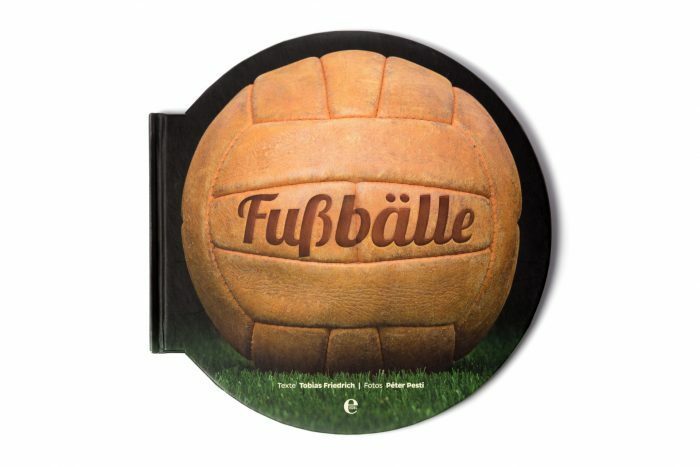 There is only one book in the world about soccer balls. It was published in Germany by EDEL in 2016 and is called Fussbälle. The book was illustrated with the photos of Peter Pesti (the owner of this site) who also participated in writing stories for various balls that are introduced in the book. If you buy the book directly from us, you will not only support our site but you will receive a signed copy by Peter. Since we are sure that you will like our products, therefore we offer 14 days money back guarantee – no questions asked. We ship worldwide and accept payments by paypal where you have paypal buyer protection as an addition. We sell balls on ebay as well, so if you prefer purchasing from our ebay store, feel free to do so. As you will see, we have never had any negative, not even neutral feedback eversince we sold our first ball on ebay in 2004 – so your satisfaction is guaranteed.